We have previously reported about MyPhone Rio Junior retailing slightly over Php1K mark. But to our surprise, the local company’s newest entry-level phone will be closely priced to the MyPhone Rio Craze. So how does the new 3.5-incher differ versus its bigger brother? Check out right after the fold as we compare both budget-friendly phones from the local vendor. In terms of the screen real estate, the Craze has an advantage. Given the fact that it has 4-inch WWGA screen (480 x 800p), it gives shade to the Junior’s 3.5-inch HVGA (480 x 320p) display. Processor-wise, both of them have the same 1.3 gigahertz MediaTek MT6571 dual-core processor. The rest of their hardware is quite identical – 256MB of RAM with 512MB of internal memory with expansion option of up to 32 gigabyte. Both are also limited to only 2G (Edge) in terms of connectivity. 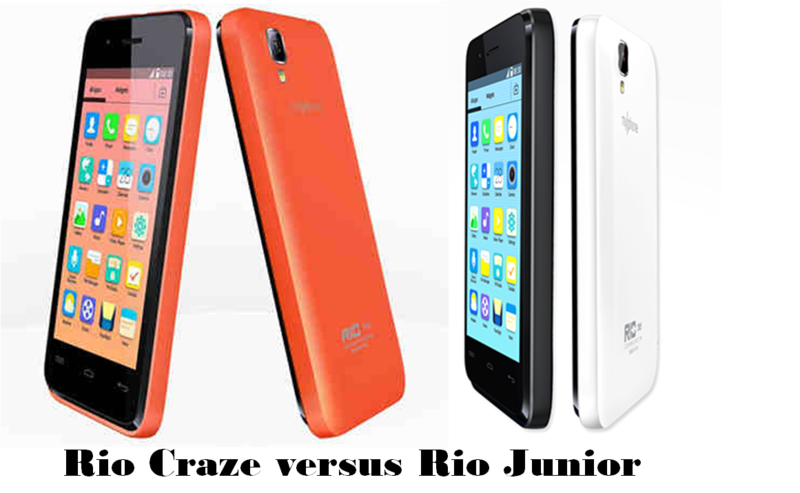 The MyPhone Rio Junior and the MyPhone Rio Craze are powered by Android 4.4 KitKat and 1300 mAh of battery. So what’s the main difference between the two? Screen size, display technology and front camera. The MyPhone Rio Junior is only priced at Php 1,799; add Php 200, you’ll have the Rio Craze with bigger 4-inch WVGA display with the VGA front camera.